The Mona Lisa‘s subtle smile and enigmatic gaze has enchanted viewers for approximately 500 years. Viewers and art historians alike have commented on the uncanny way in which she follows observers with her eyes. This art work transforms the perceptual effect into actual experience. When participants approach this work, they may stand or walk in the area in front of the work. 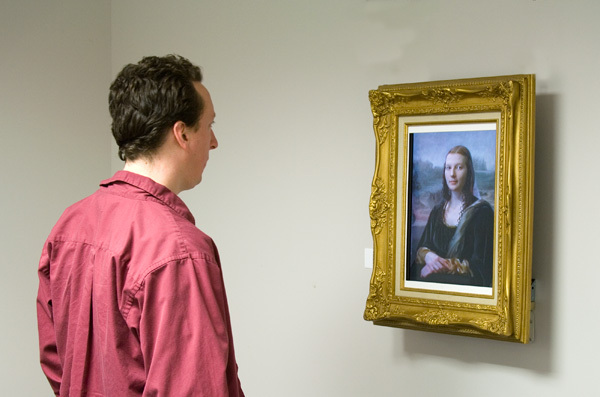 In most encounters the Mona Lisa will follow the viewer as they walk with movement of the eyes and head. 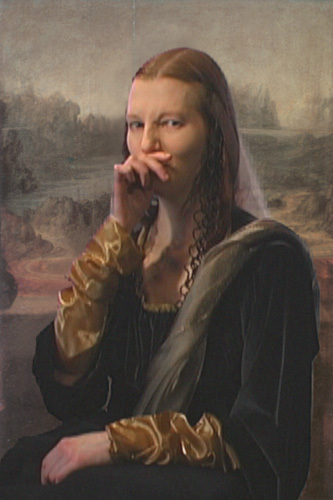 On less frequent occurrences the Mona Lisa will present a less congenial attitude. 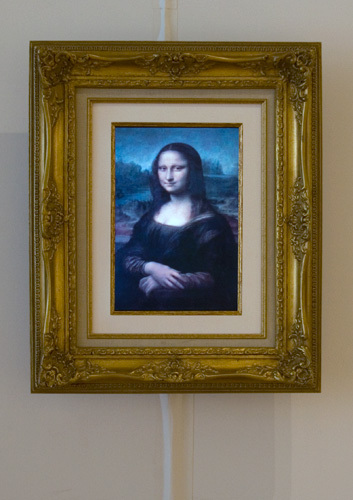 A camera mounted either above or on the ceiling tracks the space in front of the Mona Lisa. When the tracking algorithm finds a visitor, it randomly selects an interaction to perform.